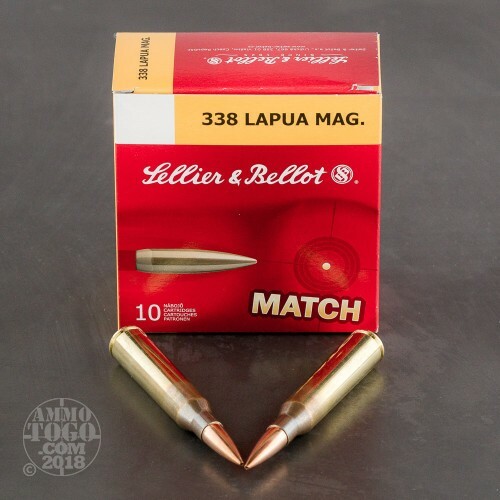 This is .338 Lapua Magnum Sellier & Bellot 250gr. 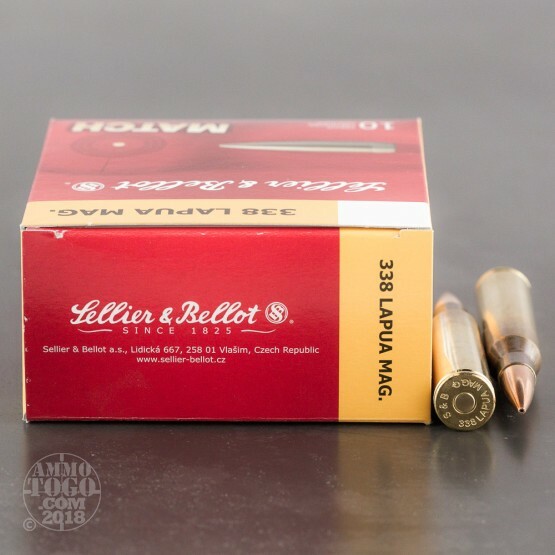 Sierra Hollow Point Boat Tail Match Ammo. 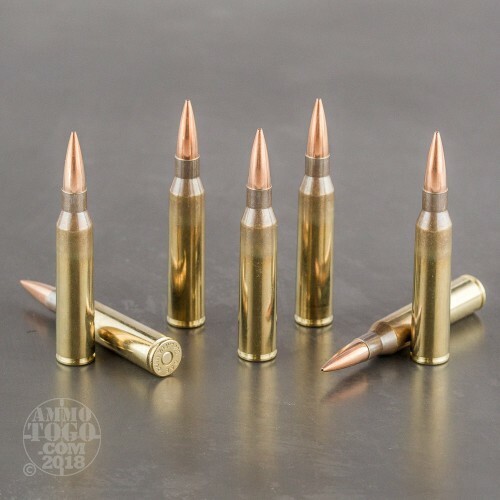 This ammunition is new production, non-corrosive, boxer primed, brass cases. This ammo comes packed in 10rd. boxes. posted on 7/9/16 by Okie D.C. I have yet to fire a single round of this ammunition order, so all I can evaluate is the service I received in placing and receiving this order of ammunition. The order was placed on line on a Saturday. I was having it sent to a different address than my normal address. After completing the order I checked to make sure where it would be delivered. The delivery address was incorrect(I've had this happen to me before with other businesses when using a credit card thru computer sites). I then called the Ammo To Go customer service number(again on a Saturday)and had a living, breathing, knowledgeable, English speaking Texan answer and immediately resolve my problem. The order arrived where I wanted it to go and in perfect condition on Tuesday. Boys and girls you just can't ask for more than that.